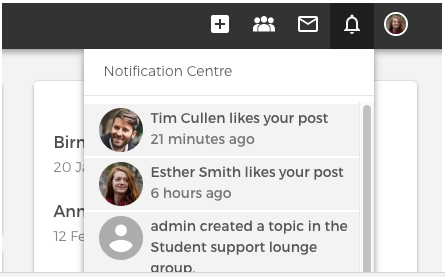 Notification center: a bell shape icon in the header navigation menu displays the number of new notifications. Email notifications: notification emails are sent to users when they are not active in the platform at the moment the notification is send. 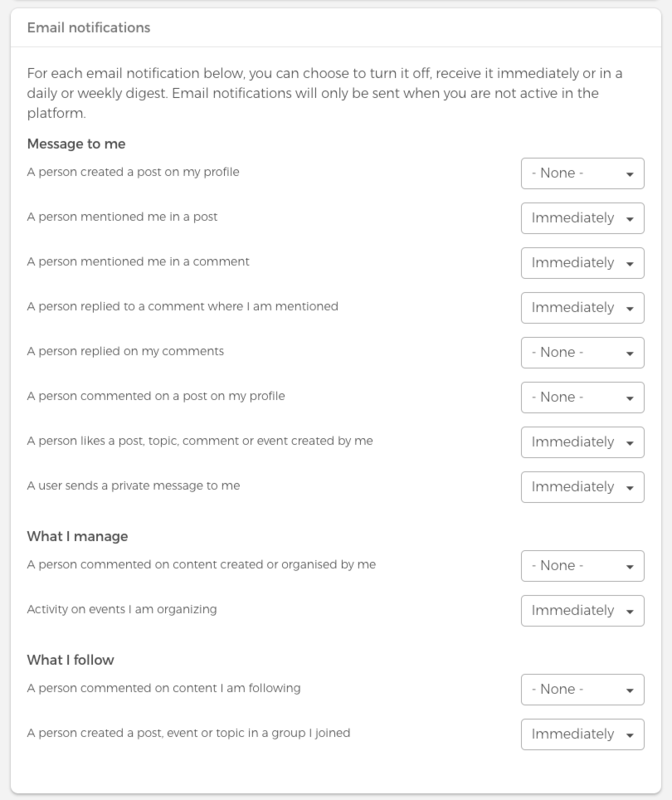 Users can configure email notifications on their settings page. For each email notification, users can choose to receive it immediately, daily, weekly, or not at all. Site managers and content managers have a few more notifications then regular user. They can receive email notifications for all new content and users created in the platform.